Product prices and availability are accurate as of 2019-04-20 06:44:05 UTC and are subject to change. Any price and availability information displayed on http://www.amazon.com/ at the time of purchase will apply to the purchase of this product. Author Bookstand is proud to offer The View from the Back of a Whale: Poems and Selected Prose by Bookstand Publishing. 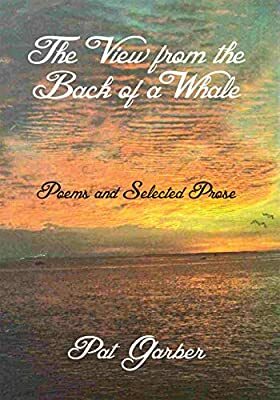 The View from the Back of a Whale: Poems and Selected Prose has generated a lot of interest and excitement and we think it would be an excellent addition to your library. The poetry and prose selections in this book serve as a kind of memoir of the poet's life and as a testament to the things she most loves and believes in. They record her spiritual journey across America, from a farm in Virginia to the Pacific coast of Washington; from the bottom of the Grand Canyon to the Outer Banks of North Carolina; from the inner city of Buffalo to the wilds of the Adirondack Mountains of New York. Joy, sorrow, humor, despair and hope are encapsulated in these pages. Pat's passion for the natural world and for her loved ones, her struggles to find meaning in the world around her and in her own life form the fabric of this collection. She hopes to leave the reader with a sense that one can find joy in the simplicity of a dragonfly wing, beauty in the desolation of an inner city side street, and hope where there seems to be none. Pat Garber is an award-winning journalist and author. Born and raised in Short Pump, Virginia, she also calls home the island of Ocracoke, North Carolina, the Adirondack Mountains of New York, and often-times, the Open Road. This is her first book of poetry.